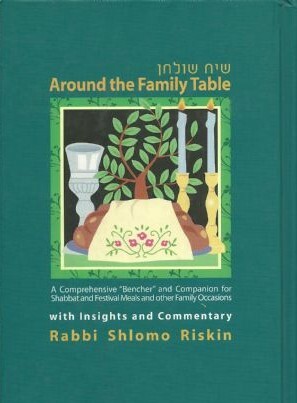 “Around the Family Table” is a practical and inspiring prayer book for the Jewish household. Many of the uplifting and ancient Jewish traditions are rooted in the home and celebrated with the family. This prayer book is intended to serve as a guide for meaningful expressions of the Jewish experience at home. Inspiring stories and personal commentary by Rabbi Riskin supplement the text. Blessings and songs celebrating the entire year of Jewish festivals and Sabbaths, in Hebrew, with English instructions and translations, make this work of fundamental value to every Jewish home. Birth celebrations for boys as well as for girls, the marriage ceremony, prayers for inaugurating a new house, and other momentous life cycle occasions are marked with traditional praise and holy words.